Commenting in the Dail today, Deputy Mattie McGrath asked if the government was going to review the Traveller accommodation plan. I acknowledge that the housing crisis has reached more than 10,000 homeless. On the other hand, Tipperary County Council has spent €371,000 per unit on houses in Cabra in Thurles for Traveller families that have been lying idle since last October. The Minister of State, Deputy English might answer this question. The average price of a house in Tipperary is €167,000. These have cost a staggering €371,000 per house and the families are refusing to move into them. They have horses grazing on the lawns. Are we going to review the Traveller accommodation plan? A councillor had a motion down at a meeting yesterday and the director of services refused to attend to deal with it. This is causing great anger and angst all over Tipperary and beyond. If we give in to a set of preconditions for people to move into state-of-the-art houses, built at enormous cost and which are almost three times the cost of normal houses, we will set a very bad precedent in Tipperary and I do not want that. It is time this was resolved and I ask the Minister of State to intervene with the county council. This is the cost to date, not the full cost. The reply I have got says it is the cost to date. There is subterfuge going on here. There is a €500,000 increase on what we knew at first. I want to know if this will be allowed to continue. It is farcical when people throughout the country are waiting for houses and sleeping on the streets. The Tánaiste will answer the Deputy. It is not a dog whistle. —–with the kind of questioning that the Deputy is posing here today. It is not a dog whistle. It is an honest question and the sooner we deal with it the better. Dealing with the housing demands of the Traveller community in Ireland is complex, difficult and at times very political. Local authorities have difficult challenges to meet in this regard without us making it more difficult for them. It is public money and there is no accountability. —–and specifically painting a picture of a problem with the Traveller community is something that the Deputy should reflect on. I resent that lecture. I resent it totally. We are in a housing crisis. I resent that lecture from an arrogant Tánaiste who cannot build a henhouse not to mind build a doghouse for people. Forty leading policy organisations and more than 100 of the States most influential scientists seek review of climate science reports. A massive alliance of environmental organisations, activists and scientific leaders from across the United States is urging President Trump to proceed with a proposed Presidential Commission on climate security. They observed that “serious problems and shortcomings have been raised repeatedly in the past by highly-qualified scientists only to be ignored or dismissed by the federal agencies in charge of producing the reports. “Among major issues that have been raised and that we hope the commission will scrutinize: the models used have assumed climate sensitivities to CO2 concentrations significantly higher than recent research warrants; the models used have predicted much more warming than has actually occurred; predictions of the negative impacts of global warming have been made based on implausible high-end emissions scenarios; the positive impacts of warming have been ignored or minimized; and surface temperature data sets have been manipulated to show more rapid warming than has actually occurred. An underlying issue that we hope the commission will also address is the fact that so many of the scientific claims made in these reports and by many climate scientists are not falsifiable, that is, they cannot be tested by the scientific method. occurred. An underlying issue that we hope the commission will also address is the fact that so many of the scientific claims made in these reports and by many climate scientists are not falsifiable, that is, they cannot be tested by the scientific method. The conclusions and predictions made by these reports are the basis for proposed energy policies that could cost trillions of dollars in less than a decade and tens of trillions of dollars over several decades. Given the magnitude of the potential costs involved, we think that taking the insular processes of official, consensus science on trust, as has been the case for the past three decades, is negligent and imprudent. In contrast, major engineering projects are regularly subjected to the most rigorous and exhaustive adversarial review. We suggest that climate science requires at least the same level of scrutiny as the engineering employed in building a bridge or a new aeroplane. Although an independent commission of distinguished scientists would have high credibility, we do not mean to imply that its report should be the end of the matter. We, therefore, suggest that the National Academies of Science and Engineering would be appropriate bodies to conduct an initial review of the commission’s report. 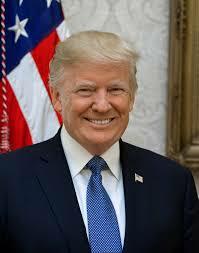 Mr. President, you have made a number of comments in recent years expressing doubts about the global warming consensus. Many of the signers of this letter have been similarly skeptical. Without prejudging the results, we think that a review of climate science produced by an independent, high-level commission would be a fair test for your views (and ours): either it would provide a sound basis for revising your views or it would confirm your views and confound your critics. Fianna Fail claims that plans to introduce new arrangements for the border and tariffs on products being exported from the Republic to Britain will have “massive ramifications on the Republic’s agri-food sector if allowed to be introduced. “I sincerely hope that this is a provocative attempt to persuade MPs to vote against a no deal scenario when they are asked over the next 24 hours in Westminster,” said a spokesman for the party. 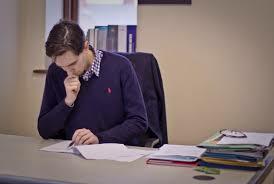 The government should publish the likely impact of the tariffs and put a plan in place to respond, the spokesman added. 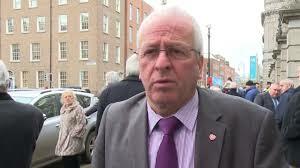 The IFA says it would be a “disastrous scenario” if a tariff regime is imposed on Irish food products. Labour court to examine disputed clauses of new draft contract. It looks that the country’s overburdened hospital services could be hit with another strike by nursing and midwifery staff. New contracts offered by the government following the previous strike action have been rejected by union representatives. Talks between the Irish Nurses and Midwives Organisation and government parties broke down without agreement yesterday. Disputed clauses of the new draft contract are now being referred for examination by the Labour Court. Currently, more than half a million patients are on waiting lists for hospital consultations. Organisations may be able to dip into taxpayer-funded Aid programme to finance abortions in Irish supported developing countries. Developing countries may be allowed to use taxpayer-funded Irish aid for the provision of abortion services. The claim has been made at the same time that theTrump administration has ruled out financially supporting abortion in the United States and abroad. Ireland distributes hundreds of millions in development aid to several countries including Sierra Leone, Ethiopia, Malawi, Mozambique, Tanzania, Uganda, Kenya, Zambia, Liberia and Vietnam. It reports that the Department of Foreign Affairs and Trade has said it will launch a new initiative on “sexual and reproductive health and rights” in the developing world as part of the work of Irish Aid. Many will be shocked if it transpires the government intends to allow Irish aid to be used to support abortion practices abroad. The move, if effected, would contrast starkly with the position in the United States where President Donald Trump has made an order outlawing the distribution of foreign aid to organisations in countries that provide abortions or even counsel women on abortion. Organisations seeking US aid must certify they were not discussing abortion or advocating for its liberalisation. 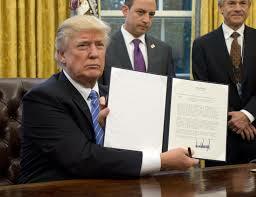 President Trump has also proposed a sweeping clampdown on abortion services in the United States itself, with the imposition of severe restrictions on what is known as Title X federal funding for groups such as Planned Parenthood that provide abortion referrals. The Trump Rule will also ban existing funded organisations from providing abortions if performed in the same facilities as other services financed by federal funds. Funds will be withdrawn from organisations that refer women to another provider for an abortion or procedure. Trump has been praised by Catholic and other bodies throughout the States for his role in standing up for the sanctity of human life. Taxpayer-funded Irish aid allocated to third world countries, which has been regularly increased, at present stands at around €820 million annually, and is being awarded on that scale in spite of the growing poverty, homelessness and the chaotically underfunded state of the State’s hospital services at home. 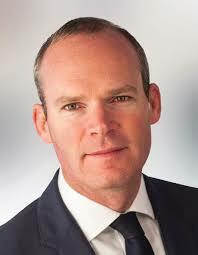 The programme is managed by the Development Co-Operation and Africa Division of the Department of Foreign Affairs and Trade of which the minister is Simon Coveney. Presently, the government is plying for a seat on the United Nations security council for which it needs the votes of 193 states to win. Spiralling cost of insurance may force businesses to close. Three billion to install rural broadband. 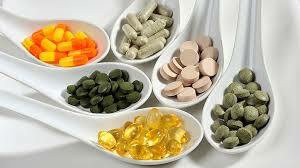 Sligo Fianna Fail TD Marc MacSharry says he is pleased a Revenue proposed VAT on vitamins/food supplements has been suspended. “My constituents in Sligo-Leitrim who use these products were facing significant cost increases,” he said. In Ballymote, party colleague Eamon Scanlon is troubled about the failure of the Fianna Fail-backed government to tackle cost increases in the insurance market. It has emerged, meanwhile, that extending broadband to rural areas of the country may now cost €3 BILLION or more. New staff will be engaged on the rollout of personal loan and credit card product. A Spanish owned company is expanding its Leitrim-based operations. Avantcard says the development will result in the creation of an additional 40 jobs between Carrick-on-Shannon and a satellite office in Dublin. The newly recruited employees will be engaged on the rollout of a new personal loan and a new credit card product with An Post. It’s not clear how many of the new workers will be located in Carrick, where the company has its Irish headquarters. 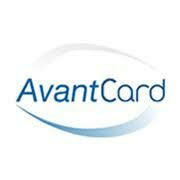 Avantcard launched in Ireland in 2012.